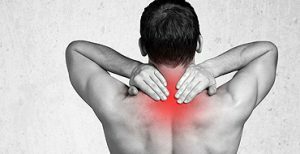 Advanced Biostructural Correction is a specialised technique from the United States that helps eliminate pain whilst correcting the posture. This technique promotes the restoration of normal posture, allowing such benefits as improved breathing, standing taller, headache and body pain reduction or elimination, increased energy, better sleep….just to name a few. Treatment sessions involve spinal adjustments and stretches, and for many, results are noticed after a visit or two. Repeated sessions over a four to eight week period are often necessary for the effects of the treatment to remain. More and more people are looking and feeling better as a result of Advanced Biostructural Correction (ABC). You don’t have to live in debilitating pain. Whether you have lower back pain, a pinched nerve, sciatica, or a variety of symptoms related to damaged or degenerative discs, as well as syndromes of the lumbar spine, Flexion Decompression Therapy may be for you. The gentle forces of the Flexion Decompression therapy create a decompression of the spine with unloading due to distraction and proper positioning, to improve blood flow and nutrient exchange to the injured area. Therapy sessions typically last less than 15 minutes with most patients feeling pain relief with as few as 4-8 treatments. Our goal is to not only help heal the disc, but to also enhance muscular control and support of the back and neck. Regular exercise and periodic visits to our office will help in maintaining your spinal health and reduce the probability of re-occurrence. Clinical results of this type of therapy have been effective in over 80% of the patients treated and most patients find long-term relief or effective management of their pain when they complete the entire program of treatments utilizing Flexion Decompression Therapy. If you have a preferred method of adjustment, please let us know, Dr Dillon (Chiropractor) is skilled in many other techniques such as Diversified and Terminal Point Technique. We want you to relax and enjoy the full bennefits chiropractic has to offer.